We’re baaaaaaaack! Miss us? We sure as hell missed you guys. If you’re seeing this, then you stuck around through our unexpected hiatus and we cannot thank you enough. Formalities out of the way, lets get down to business with a Very Special Episode. No, no one has a disease, or an underage drinking problem. It’s a different type of Very Special Episode. 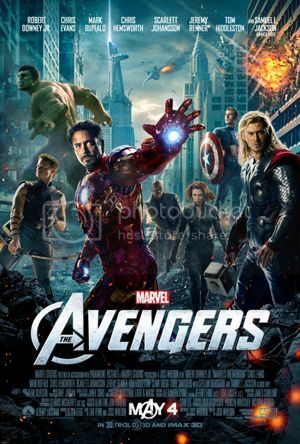 Two weeks ago, we sat down to review The Avengers, we had no idea it would end up breaking so many box office records. This will most likely be the biggest movie we review for Quid Pod Quo. Unless The Dark Knight Rises, makes it onto our review list! The other reason this is a VSE is because it is the final episode of what we’re referring to as Quid Pod Quo 1.0. All of our episodes so far (including this one) were recorded on outdated, old software and woefully underpowered hardware. We wanted to create a podcast so bad, we just jumped right in with both feet and figured out mistakes as we went along. Now we feel a little more knowledgeable about what we’re doing. We have better software and hardware. We’re going to have a new show format that we think will work better and be more entertaining. And we’re excited to debut all of that to our loyal Quid Pod Quoers in our next episode! For now though, sit back, relax and hear our thoughts on the biggest movie of the year so far!